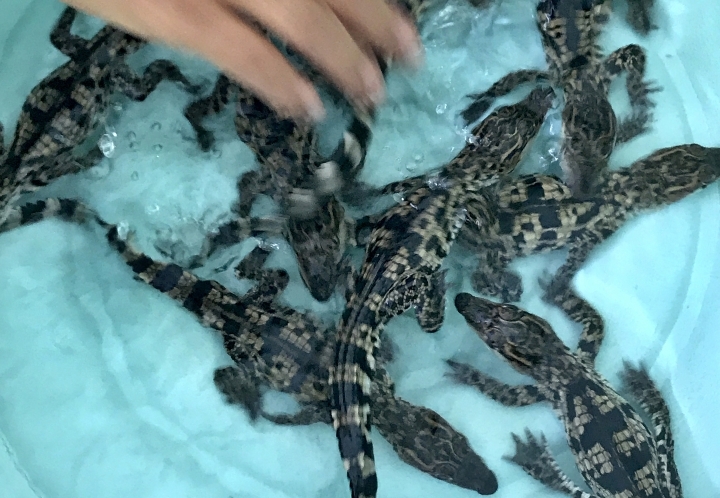 PHNOM PENH, Cambodia — Nine eggs of an endangered crocodile species found in the wild in June and taken to a conservation center in southern Cambodia have hatched, conservationists announced Tuesday. 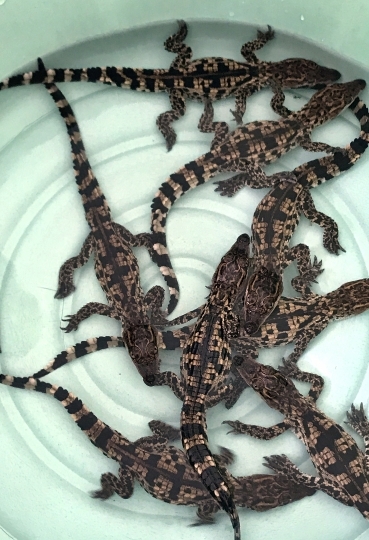 The New York-based Wildlife Conservation Society and Cambodia's Fisheries Administration said the eggs of nine Siamese crocodiles have hatched at the Koh Kong Reptile Conservation Center after being retrieved from the wild to protect them from poachers and predators. The WCS says the crocodile, with an estimated global population of around 410, is found only in Cambodia, Malaysia, Myanmar, Thailand and Vietnam, with the greatest number in Cambodia. The species is listed as critically endangered by the International Union for Conservation of Nature because its numbers are rapidly shrinking. 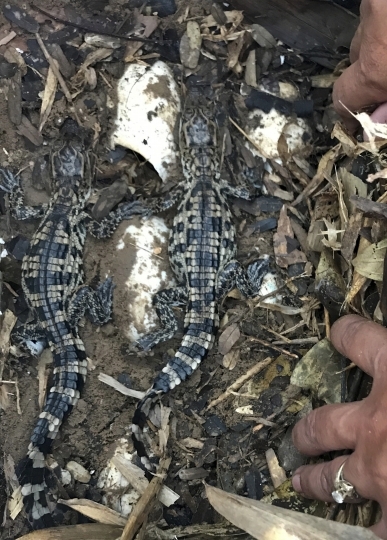 The June discovery of 19 eggs was the first Siamese crocodile nest recorded in six years of research and protection in Koh Kong's Sre Ambel area. The conservation center was established by the two organizations to safeguard endangered reptiles such as Siamese crocodiles and Royal turtles. "We will take care of these hatchlings until they are able to survive in nature on their own," the groups' joint announcement quoted Som Sitha, WCS's technical adviser for the Sre Ambel Conservation Project, as saying. "We will then release some to the wild, and others will be kept for breeding." His colleague Tun Sarorn, caretaker of Royal turtles and Siamese crocodiles at the center, expressed her excitement over the hatchlings. "I am so excited to see these hatchlings. It is the first time I have taken care of them since arriving at the center," she was quoted as saying. "Before seeing them, I was surprised to hear their voices from inside the eggs. It was amazing, and I felt so happy because I realized they are coming out. I will feed them all in the next few days with small fish and frogs." A different conservation group, WWF-Cambodia, separately announced encouraging news about another endangered species, the Irrawaddy, or Mekong, dolphin, which has a worldwide population of about 7,000, 90 percent of that in Bangladesh. In Cambodia, and Laos, there are an estimated 80 adults in the Mekong River. WWF-Cambodia announced Tuesday that from January through this week, they recorded two dolphin deaths and eight births, an improvement over the same period last year when there were four deaths and four births.